The ability of mutations in genes encoding cardiac proteins to cause disease was first described nearly 30 years ago when Geisterfer-Lowrance et al. traced the inheritance of hypertrophic cardiomyopathy (HCM) in a large family to a single missense mutation in MYH7, the gene encoding myosin. Since that time hundreds of additional mutations in myosin, myosin regulatory proteins, and other proteins, mostly associated with cardiac sarcomeres (the force generating units of muscle), have been identified as causative in clinical cardiomyopathies such as HCM and dilated cardiomyopathy (DCM) [8, 11, 17]. Intense research efforts over the past 3 decades have thus been aimed at understanding the impact of each of these mutations at the molecular level in order to translate “molecular” phenotypes into accurate predictions of patient disease phenotypes. The problem is that despite the logic in assuming a unique genotype-phenotype relationship for each mutation and the clear clinical urgency of solving such relationships, it has proven extremely challenging to predict patient phenotypes from genotypes alone. This is because even for family members with the same mutation clinical outcomes can and do vary greatly—from completely asymptomatic throughout the lifetime of an individual to heart failure or sudden cardiac death at an early age [15, 16]. The situation is compounded further when considering that hundreds of different mutations occur in a myriad of proteins, each presumably resulting in distinct molecular and patient phenotypes. As one example, two different mutations that affect the same residue in troponin T (R92L and R92W) lead to divergent phenotypes . However, the converse is also often true and presents an equally challenging paradox: How can different mutations in different proteins ultimately activate similar pathways that lead to the classical descriptions of HCM or DCM? Most attempts to crack the genotype-phenotype conundrum thus far have adopted the strategy of looking for similarities in molecular phenotypes that correlate with clinical phenotypes. For instance, an early observation was that mutations causing HCM are often associated with an increase in myofilament Ca2+ sensitivity of tension (resulting in more force at a given level of Ca2+), whereas mutations associated with DCM often lead to a decrease in Ca2+ sensitivity of tension . Because an increase in Ca2+ sensitivity of tension can account for slowed relaxation as well as the preserved (or even hyper-contractile) systolic function often seen in HCM patients, the hypothesis is attractive both for its simplicity and because it is suggestive of therapeutic remedies that target Ca2+ sensitivity [1, 2]. Nonetheless such generalizations are not universal [3, 7, 10] and are likely to be over-simplifications that lack the sensitivity or specificity necessary for predicting individual patient disease burden. Clearly, despite the enormous progress made in identifying the root genetic causes of cardiomyopathies, there is still much more to learn regarding if, when, and how a given mutation will impact patient lives. 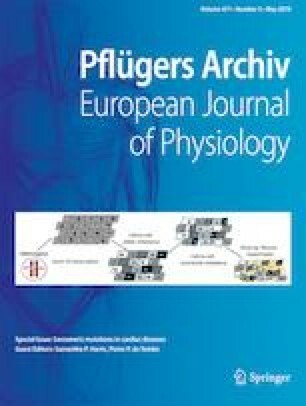 In this Special Issue of Pflugers Archiv, European Journal of Physiology, we invited experts and world leaders in genetic cardiomyopathy research to contribute concise reviews on the current status of knowledge in their fields. Review topics focus on commonly affected proteins such as myosin, cardiac myosin binding protein-C (cMyBP-C), myosin light chains, titin, and thin filament proteins as well as new players such as the obscurin family of proteins. Additional topics include approaches for integrative disease modeling that leverage computational methods or iPSC-derived cardiomyocytes, novel veterinary animal models, and updates on the quest for therapeutic strategies. Importantly, reviews also include emerging concepts that go beyond effects of a single mutation, for instance many mutations in myosin and cMyBP-C may share common functional effects that disrupt the relaxed state of the thick filament [12, 14]. Cellular and organ level functions are also considered as it is increasingly recognized that processes downstream of the genetic mutation such as transcription, protein quality control mechanisms and microvasculature dysfunction are factors that can significantly impact disease progression. For instance, cell-to-cell variability in expression of mutant and wild-type alleles may lead to contractile imbalances at the tissue level that either initiate or exacerbate pathological remodeling [9, 13]. If so, then allelic imbalances observed in myocardial samples from HCM patients may well correlate with disease progression or severity . Taken in aggregate, the review articles in this Special Issue provide updates on current and emerging topics that will undoubtedly bring us closer to deciphering complex genotype-phenotype relationships and to identifying effective therapeutic options for cardiac diseases caused by genetic mutations.